Solano College's programs are focused on student needs and, as a result, quality teaching and learning is our primary focus. We are committed to maintaining high quality as a consistent academic standard in order to foster student learning and success. Solano College is moving into the 21st Century as it updates instructional programs with new equipment in many disciplines, new resources in the Library and Learning Resources Center, and the development of Smart Classrooms which employ the latest in multimedia technology. 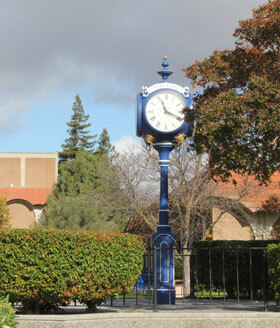 An integrated ensemble of new technologies bring Solano College's classrooms alive with a dynamic mix of interactive computer software, cyberspace data retrieval, and exciting combinations of sound and images. These new techniques combine fruitfully with traditional modes of teaching to form a new generation of multi-dimensional learning environments. Our students are connected to a world of learning as never before. At Solano College, the future has arrived.